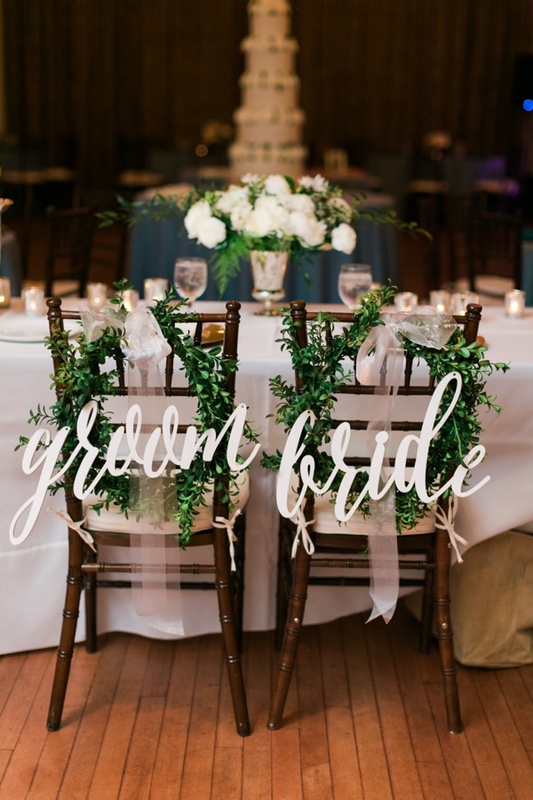 I have a soft spot for Texas weddings, and when the bride and groom are fellow University of Texas alumni, I can’t resist calling dibs on writing their wedding post! 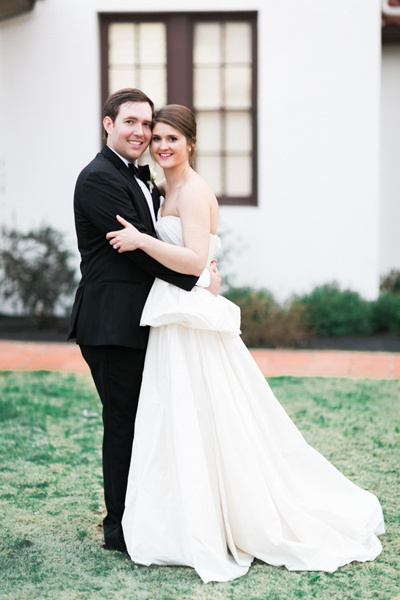 Brianna and Jim met at the Forty Acres, and after years of long-distance, they chose two very special venues in Brianna’s hometown for their winter wedding. Their celebration was classic, lovely, stylish (especially Brianna’s “Carrie Bradshaw-esque” dress! ), and Southern–the focus on hospitality was undeniable, and I guarantee you that every SW gal is currently wishing we could’ve helped ourselves to their biscuit bar! 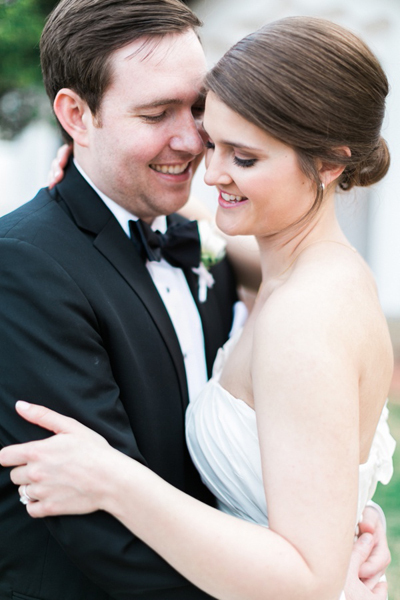 Thank you so much to Elisabeth Carol for sharing Brianna and Jim’s lovely day with us! I borrowed my Granny Pehl’s wedding ring, just as my cousins before me have. I wore it on my right hand, and it was so special to have a piece of family history so close to me on the big day. My something old was my mother’s ring bearer pillow with a piece of my Meme’s lace sewn onto it. My something blue was my new monogram that we tied on my bouquet. 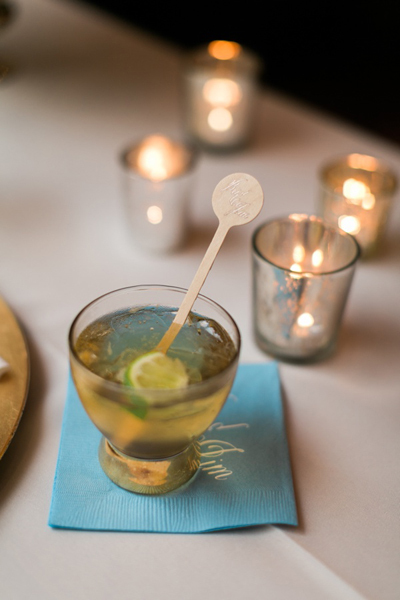 I love how it pops in pictures, and it was fun getting to incorporate my new monogram into the wedding! My new was a pair of gold Manolo Blahnik pumps. To go with my Carrie Bradshaw-esque dress, I needed some dream shoes. I was under budget with my dress, so I was able to splurge on these beauties! Tell us about finding your wedding dress. Two weekends after the engagement, my mom, sister, and I headed to San Antonio to shop! I was about to start nursing school and wasn’t sure how much time I was going to have to get wedding items taken care of. I had always wanted to be married in Vera Wang and knew that her White collection at David’s Bridal was going to help make that dream a reality. I tried on almost all of her gowns, and when I put the last one on, I just knew this was the dress that I was going to marry Jim in. The dress was a little classic, a little couture, and a little Carrie Bradshaw. One of my fondest childhood memories is being a train bearer in my cousin’s wedding, waiting in the entry with her before she walked down the aisle. She was nervous and excited, and there was an energy in the room that I will never forget. I knew that I wanted that moment with Jim. I wanted to see him for the first time when the church doors opened. Our favorite detail of the wedding was: There are so many! We enjoyed every moment and detail of our day. 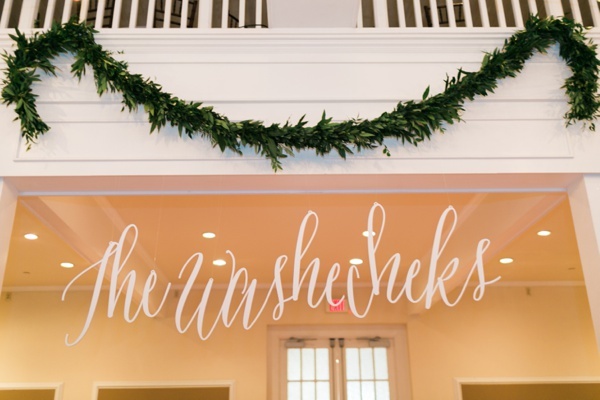 I will say that the “The Washecheks” sign that hung above the sweetheart table made my heart skip a beat every time that I looked at it. It was such a sweet reminder of the new family that Jim and I were starting, and my new last name! When I first met with my florist, I told her that I wanted Southern elegance with a feel of the Texas Hill Country, and I think that she nailed it. 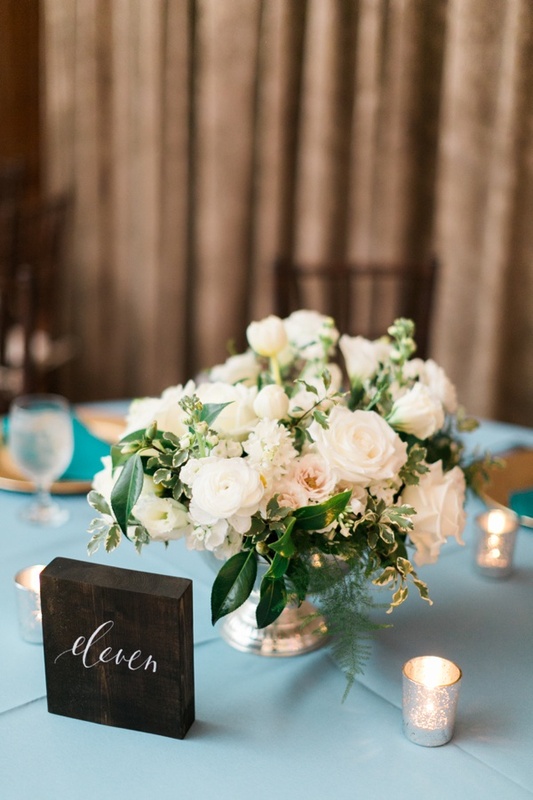 We went with classic white blooms, greenery, and mixed metals, from mercury glass to julep cups. There were three different centerpieces for the guest tables and a gorgeous garland swag that framed the sweetheart table. For the bouquets, I knew that I wanted something timeless, and Sprout gave me just that. She mixed white ranunculus, peonies, and roses with small punctuations of greens. It was heavenly! Jim and I chose to dance to “I Won’t Give Up” by Jason Mraz. Throughout our relationship, this song would play on the radio in times that we needed a small reminder about our love and commitment, and it highlights the ideals that Jim and I have for our marriage. That night, the lyrics served as a promise to one another that no matter what, we won’t give up on each other–our marriage will be for a lifetime. 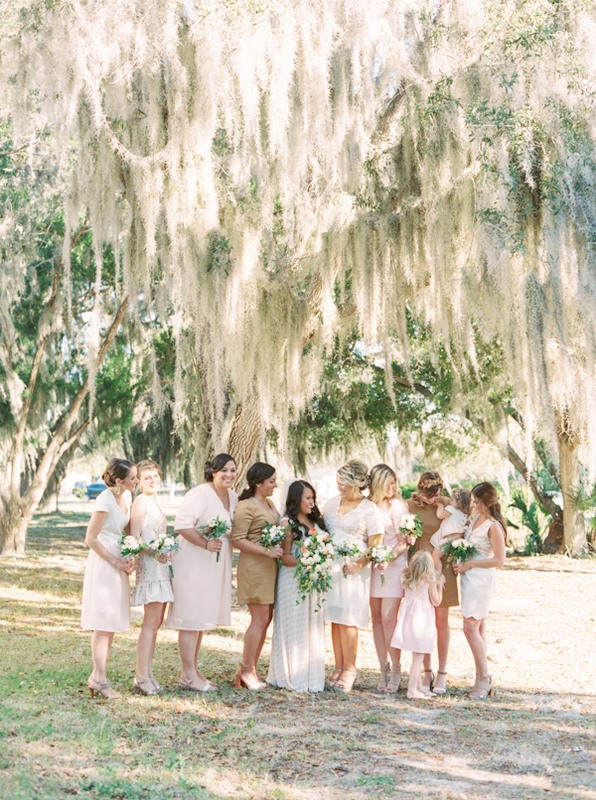 What Southern details or traditions did you include in your celebration? What was Southern about your wedding? Jim and I stressed the importance of Southern hospitality. My parents were amazing hosts and welcomed all of our friends and out-of-town guests with open arms, driving them around to see the sights, setting up tours of local attractions, and making dinner recommendations. We incorporated Southern spirits (Southern Comfort and Maker’s Mark bourbon) and used mint julep cups for florals and bar accoutrement. We served shrimp and grits, fried quail and waffles, and a biscuit bar, among other Southern favorites, and we highlighted the importance of family tradition. Jim and I are both lucky to come from a background of strong, lifelong marriages, so we displayed pictures from our parents and grandparents’ weddings, along with the date that they were married. 2014 was a special year, with my parents married 30 years and my grandparents 60 years, so it was important for us to celebrate that! Tell us all about the proposal! It was Easter weekend during my senior year at UT. Jim had explained that he couldn’t come to Fredericksburg (my hometown) for Easter and that he had a special gift for me instead. That Friday, my brother, mom, and I drove out to our family ranch to get extra chairs and tables for Easter. I saw my sister as we drove up to the ranch and was immediately confused that she was home from college and didn’t go home first! I walked inside and found a beautiful Easter basket and flowers with a card that read “Bri.” I immediately thought, “Oh! He sent a gift with Baleigh!” I opened the card and found out that my real surprise was waiting outside. As I walked down the steps, Jim walked up the hill toward me. Shocked, I froze, while Jim walked up, got on one knee, and asked me to be his wife! I had to ask him afterwards what he said exactly, because I was shocked, crying, and overwhelmed with joy. What made you choose your ceremony and reception venues? Did they have any special significance to you? Jim and I were married in the church that I have attended my entire life. I was baptized there, went to school there, performed almost every part in the Christmas pageant (from baby Jesus to Mary) there, and attended Sunday mass regularly with my family. The reception was held at the Nimitz Naval History Museum. This museum meant the world to my late grandfather, Ollie, a former Navy sailor. He was on the board that commissioned the museum, was present at the opening ceremony, and is now honored on a plaque inside. Being from a small town, every place holds a memory and strong meaning. I love that I was able to honor my family and our history in the town of Fredericksburg during our wedding. How did you plan for your marriage while planning your wedding? Jim and I were married in the Catholic Church, although Jim is not a Catholic. 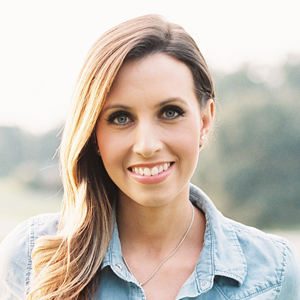 Throughout the process of preparing to be married in the Church, we had many opportunities to talk about our ideals, dreams, and hopes for our marriage. Our favorite prep activity was an engagement retreat that we went on. We spent the weekend focusing on laying the foundation for our marriage and making our relationship stronger. We left the weekend feeling strong in our relationship and confident in starting our marriage. What was one way you saved money or cut costs at your wedding? We decided early on that the cakes that I dreamed of were not in our budget. 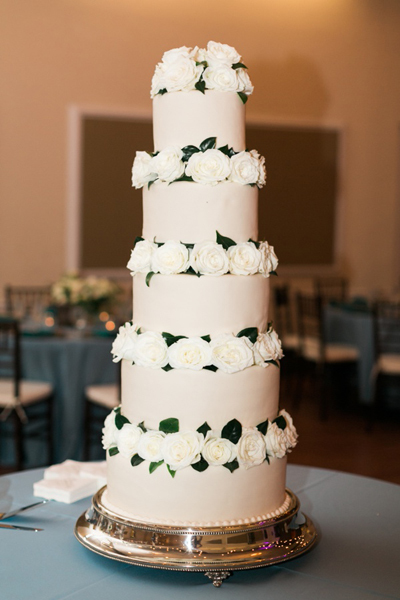 Our baker actually made our wedding cakes out of styrofoam for display, and then had cut sheet cakes in every flavor that were served as we “cut” the cake! It was the perfect way to cut cost! What’s next for you as a couple? What are you most looking forward to about married life? Jim, Praline, and I are currently living in Fort Worth! We just moved into a new house, I just started a job as a neonatal intensive care nurse, and Jim is a senior engineer at a power marketing firm. We are looking forward to our life settling down, having visits from our family and friends, and going on frequent movie dates at our favorite theater! 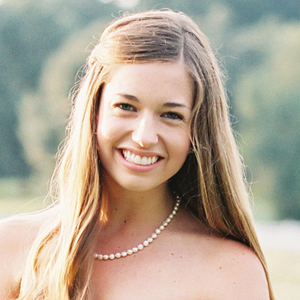 Elisabeth Carol is a delightful member of our Blue Ribbon Vendor Directory! that biscuit bar is a dream! This wedding is just so awesome in so many ways! Love these, and those biscuits look divine! The title of this post could not be more accurate – Chatham + Charlie’s wedding is absolutely pure fun! I mean, y’all, the bride’s barefoot-dancing her heart out on a checkerboard dance floor under brightly colored lanterns! Add in that clear top tent and we’re now talking about a fun AND beautiful wedding! Fun must be in C + C’s jeans, because Chatham’s pale blue dress choice was inspired by her granny’s own nontraditional blue gown. Can you imagine how avant garde granny must have been wearing a light blue dress so long ago? A hair style is almost irrelevant after such a pretty gown, but I love that Chatham topped hers off with a simple ponytail. 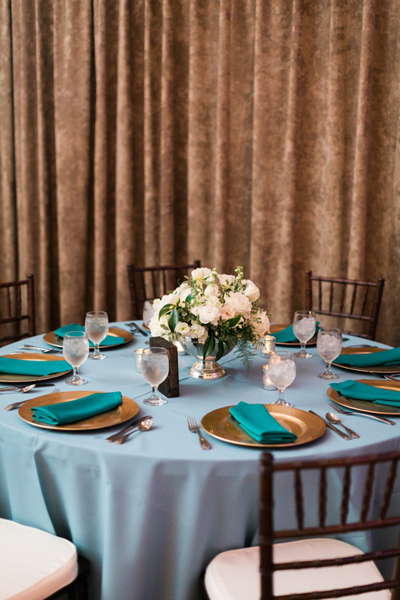 Big thanks to Bethany & Dan Photography for sharing this bright splash of fun with us! How did y’all meet? Tell us your love story. We met several weeks after I moved to Charlotte. A friend of mine invited me to a birthday party with the intention of setting me up with Charlie. It worked! Tell us all about the proposal! We traveled to China and Thailand and he got down on one knee and showed me a picture of the ring on his cell phone! Welcome to the world of technology! The first dress I saw, I knew it was the one! I had always admired my granny for getting married in a slightly blue dress – she was nontraditional like that sometimes. When I saw this gorgeous baby blue dress among all the white ones I thought, why not follow in her footsteps?! A perfect pony tail + bare feet. That’s my kind of girl! We did write our own vows by taking inspiration from here and there. My favorite line is, “I vow to love you for who you are, and not for whom I would like you to be,” because all too often people get married expecting perfection and lacking acceptance. I love the idea of raising a flag with your new joint monogram! What a great symbol of your new adventure together. What was your most memorable moment about your wedding day? Raising the flag together! It was a surprise for both of us and seemed to mark the rise of the occasion! Describe your wedding flowers. Gorgeous! White and green everywhere and the bridesmaids’ flowers were hot pink and orange and fabulously bright. The cake was layered. One layer had lemon filling and the other layer had chocolate. We also had truffles on another table. Our favorite detail of the wedding was: The location. It was in my parents’ backyard and it was gorgeous! There is a picture of the wedding with all the guests sitting and the bright blue sky and a bird flying overhead — magical. Did you decide to do a “first look”? Why or why not? Yes, we wanted our first look to be in private and to be able to spend a few peaceful moments together before the rush began. 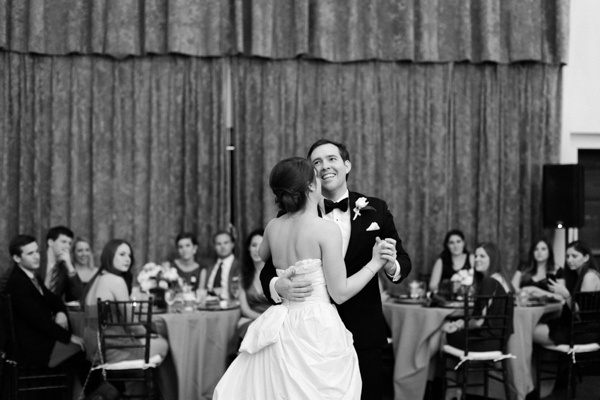 Tell us about some of the songs you used throughout your wedding and why you chose them. We used Ave Maria, simply because it is beautiful. 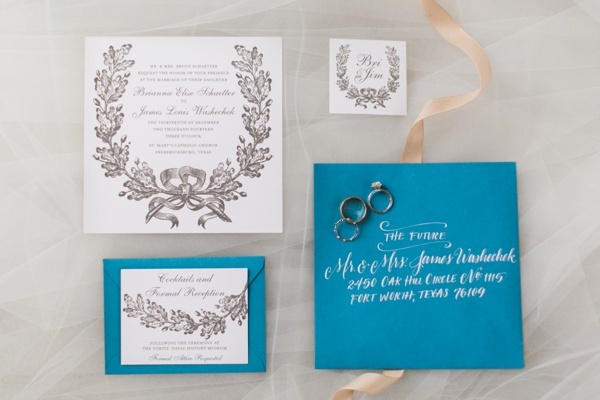 Did you have something borrowed, something blue, and something new? Yes! A blue wedding dress, a fancy heart shaped diamond earring and a diamond necklace that belonged to my granny and great granny. The flowers in my hair certainly count as new and fresh! What Southern details or traditions did you include in your celebration? What was Southern about your wedding? The people and the kindness and politeness that comes along with the South. What was the biggest challenge you had to overcome while planning your wedding? Burying a bottle of whiskey in the backyard in hopes that it would not rain. It was harder to dig that hole than we thought! 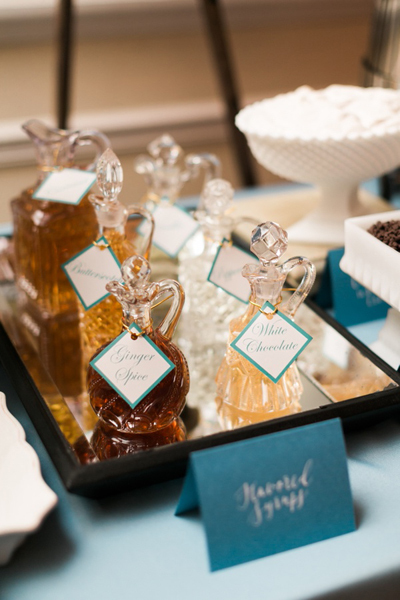 What is the one detail or vendor that you were so happy to have as a part of your wedding? Our wedding planner was awesome! He covered every last detail, set up the flower vendor, the food, the band, and the photo booth. What advice do you have for folks currently planning a wedding? Get a wedding planner. Also, meditate or do something calm and relaxing the morning of the wedding. Every hour, stop, breathe and take in all the details because the day goes by VERY quickly and then it’s done. What’s next for you as a couple? What are you looking forward to in the future? Having a baby Ripple! Oh my gosh, this is her parents’ backyard? That’s incredible! That dance floor might be my favorite detail–and from the look of these pictures, it sure seems like the guests loved it too! 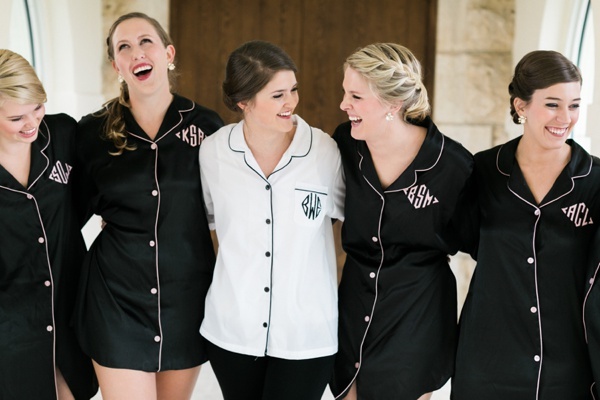 You’re so right – everything about this wedding is FUN! Coincidentally, this band (Big Swing & the Ballroom Blasters) just played at my sister’s debutante ball in Richmond last Friday night, and they were AWESOME!